Controlling bedbug infestations by freezing the pests may not be as effective as once thought, a new study suggests. Researchers found the blood-sucking pests have a high cold tolerance, but they will eventually succumb to the cold after several days of exposure. To survive in cold environments, the bugs use "freeze-intolerant" strategies, such as lowering the freezing point of their bodily fluids. In the study, researchers measured the supercooling point (the temperature below the normal freezing point at which supercooled liquids become solid) and lower lethal temperature (the body temperature below which an organism cannot survive) for bedbugs of all life stages, from egg through several nymph forms to adult. The team also studied the bugs' ability to feed after being exposed to sublethal temperatures. Related story: A winter-proof cockroach?! 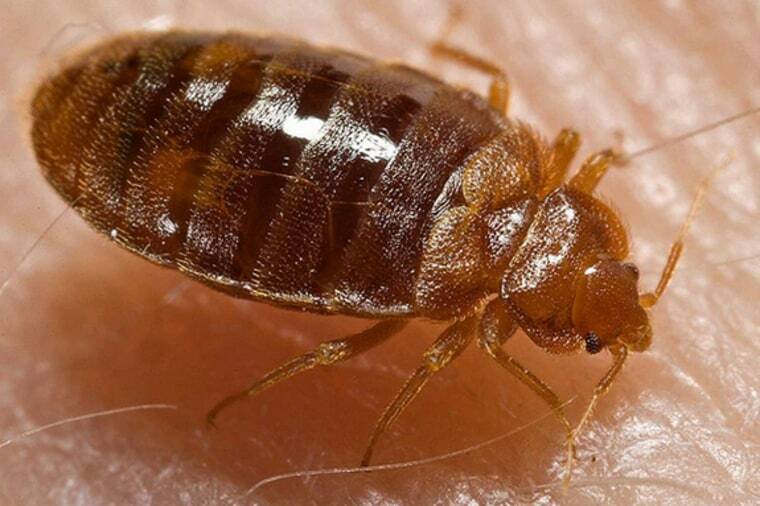 A minimum exposure of 80 hours at 3.2 degrees Fahrenheit (minus 16 degrees Celsius) was needed to kill 100 percent of the bedbugs, the researchers found. They observed some bugs surviving short-term exposures to temperatures as low as minus 13 F (minus 25 C). However, temperatures below 3.2 F (minus 16 C) could destroy all life stages of the insect after 3.5 days, and temperatures below minus 4 F (minus 20 C) destroy them in just 48 hours, the team reported. The researchers recommend placing bedbug-infested items in the freezer in plastic bags for two to four days, depending on the freezer's temperature. The findings, as well as practical tips for managing infested items, were detailed Sunday in the Journal of Economic Entomology. Bedbugs don't carry diseases, but they carry a social stigma and are tough to eradicate. An old European folk remedy involves scattering kidney bean leaves on the floor of a house at night to trap the bugs, which are then swept up and burned in the morning. The technique was documented scientifically in the 1940s. Recently, scientists created synthetic leaf traps that work similarly to the leaves. Bedbugs reproduce by traumatic insemination: The male punctures the female's abdomen and injects sperm into the wound. Females can lay more than 200 eggs in a lifetime. The insects hatch and go through five immature "nymph" stages, molting (shedding their skin) between each stage, before reaching their adult form. After a meal, the pesky bug can grow up to 50 percent of its initial length and 200 percent of its weight. Follow Tanya Lewis on Twitter and Google+. Follow us @livescience, Facebook and Google+. Original article on LiveScience.